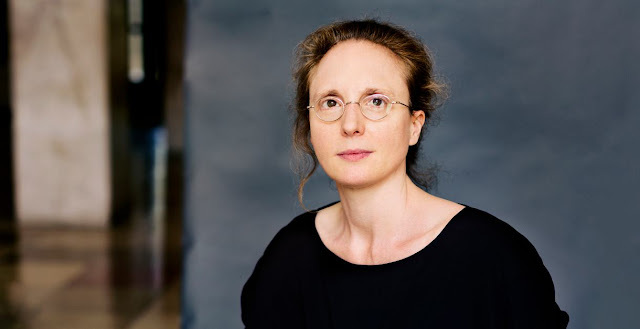 The Berlin-based British composer Rebecca Saunders will be awarded the 2019 international Ernst von Siemens Music Prize at a presentation ceremony on 7 June 2019 at the Prinzregententheater in Munich. Awarded every year since 1973 by the Ernst von Siemens Music Foundation (which is based in Switzerland), it is one of classical music's most significant prizes, and is awarded for lifelong service to music, and comes with an award of €250,000. Saunders will be the first female composer to win the prize with Anne-Sophie Mutter being the only other woman to win the prize (in 2008). There is a chance for UK audiences to hear Saunders music tomorrow night as Ensemble Modern performs a composer portrait at the Southbank Centre on Saturday 19 January 2019. Conducted by Vimbayi Kaziboni’s, Ensemble Modern presents three of her characteristic works (Fury II for double bass & ensemble, a visible trace for ensemble and Skin for soprano & 13 instruments with soprano Juliet Fraser) celebrating the ensemble's long-standing and intensive collaboration with the composer [further information from the Southbank Centre website]. The portrait concert has already been performed at the Frankfurt Opera, the Ruhrtriennale in Essen and the Klangspuren Schwaz in Innsbruck. And then on 21 January 2019, the ensemble performs Saunders' Skin at the Alte Oper in Frankfurt. The Ernst von Siemens Music Foundation is awarding the Music Prize to Rebecca Saunders 'for an oeuvre which leaves its visible and meaningful mark on contemporary music history through its productive contrariety, its astonishingly nuanced attention to timbre, and her distinctive and intensely striking sonic language'. Born in London in 1967, Rebecca Saunders studied at Edinburgh University, before going on to study with Wolfgang von Rihm at the Hochschule für Musik Karlsruhe; Nigel Osborne supervised her doctoral thesis. She was was composer-in-residence at the Konzerthaus Dortmund from 2005-2006, Staatskapelle Dresden from 2009-2010,and Huddersfield Contemporary Music Festival in 2010. Super-size masses from the Armonico Consort.